Baracuta G4 Original Made in England Harrington Jacket in faded black. Brother to the Original G9, Baracuta's G4 Harrington Jacket is equally iconic, cutting a straighter silhouette than it's sibling and featuring Retro side tab adjusters to cinch the waist. The typical Baracuta double button funnel neck collar with ribbed insert remains intact as does the trademark 5 point umbrella back vent, recognised for it's supreme style as well as it's practicality for ensuring extra breathability. Button cuffs, button down harrrington flap pockets to sides and traditional Baracuta 2 way zipper (for added maneuverability). 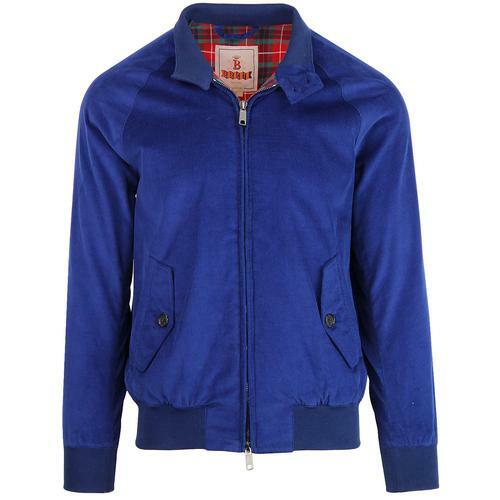 A Mod outerwear icon, the Baracuta G4 Original Harrington is finished with Fraser Tartan lining, a trademark feature that Baracuta founders, the Miller Brothers used in their original designs and has since made Baracuta garments instantly recognisable the world over. 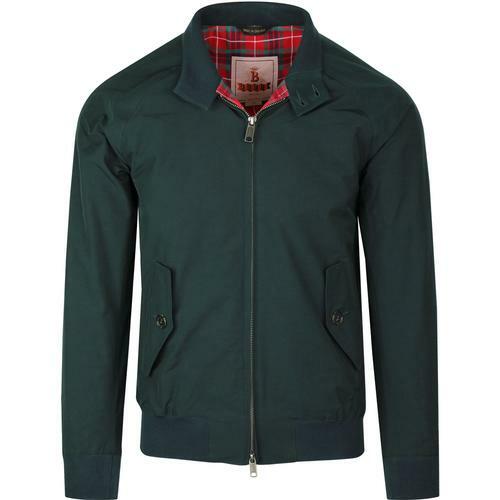 The Baracuta G4 Original Harrington Jacket is designed with practicality and style in mind. Water repellant outer and Coolmax Fraser Tartan lining engineered to keep you cool and dry, helping to optimise your performance. 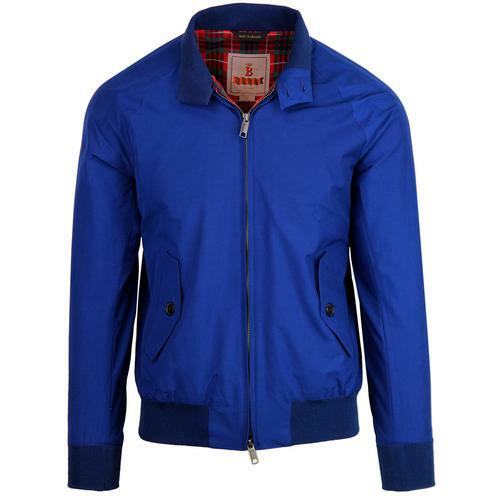 A Mod Clothing essential, the Baracuta G4 Made in England Harrington blends Retro style details with contemporary techniques to create the ideal outerwear garment. In a classic faded black colour way that evokes images of punk legends, The Clash, this Baracuta G4 Harrington is worthy of a place in any discerning Mods wardrobe. 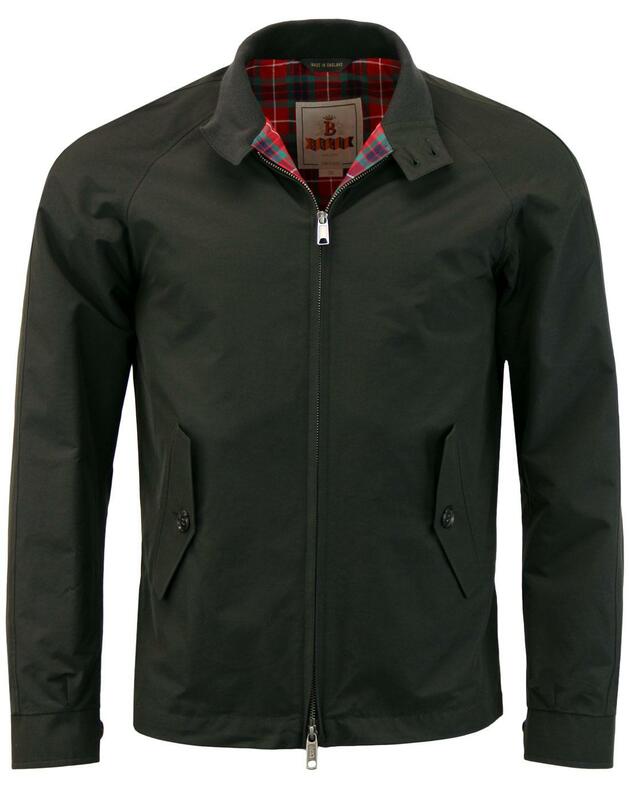 - Baracuta G4 Original Harrington Jacket in Faded Black. - SKU: G4 BRCPS0002 1016 G4 Original Harrington. 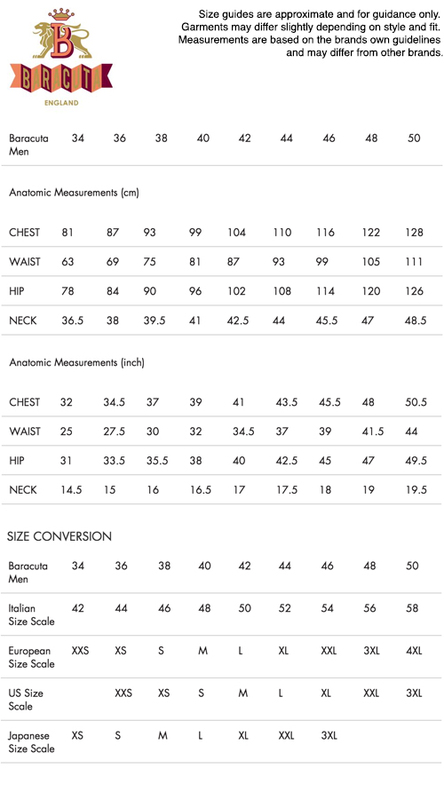 Composition:Composition: Shell: 50% cotton, 50% polyester. Lining 1 : 80% cotton, 20% polyester. Lining 2: 100% polyester. Care: Machine wash at max 30°C delicate cycle. Please refer to full instructions on garment care label.